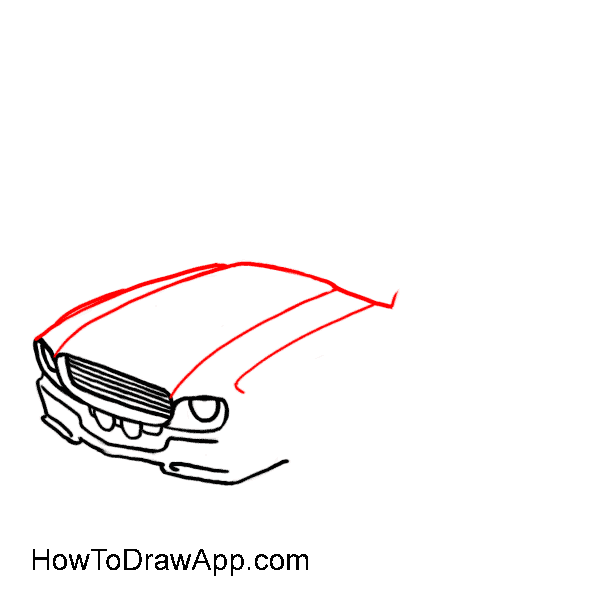 Mark headlights and radiator grill. 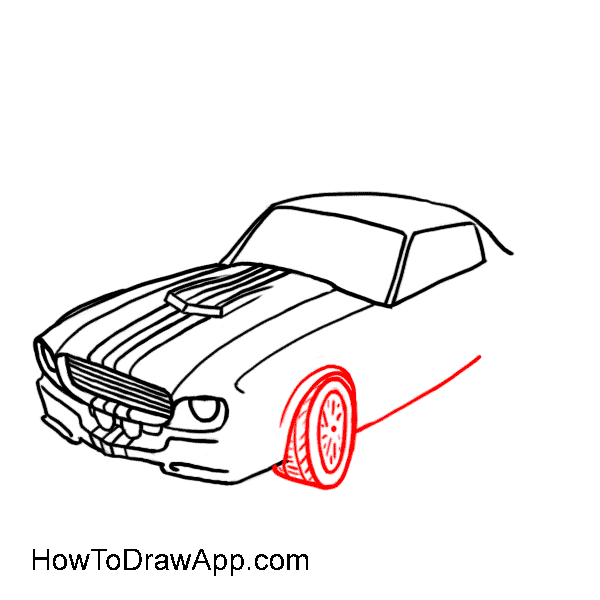 Draw several parallel lines for the radiator grill in front and two arcs for the headlights. 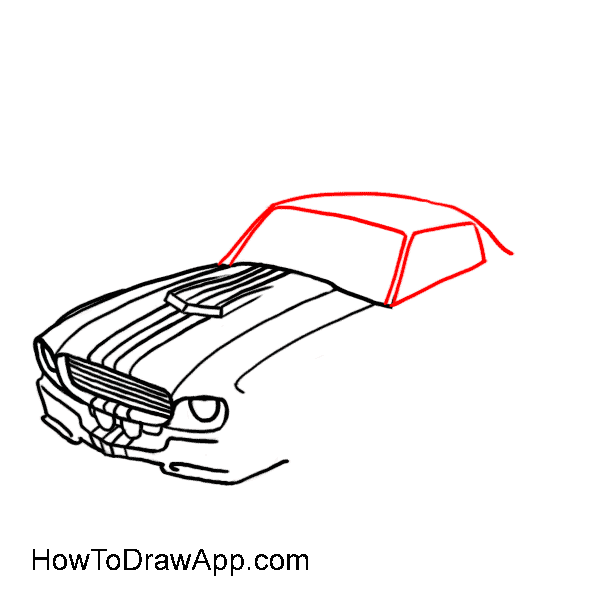 Draw a car hood by several parallel lines and a cross-line at an agle. 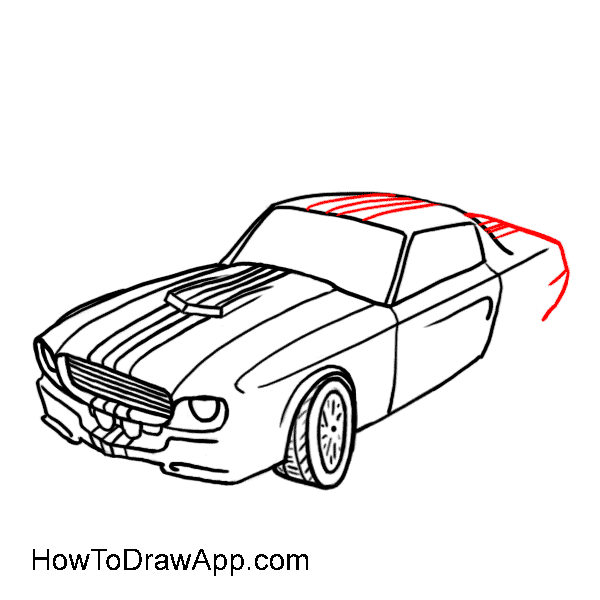 To give a shape to the image, draw several parallel lines across the hood. Pay attnetion that lines seem to taper towards the background and expand to the forefront. 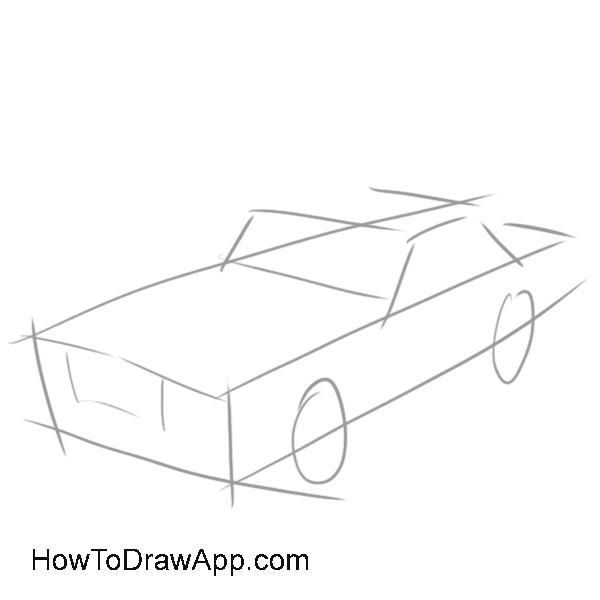 Continue drawing the car body. 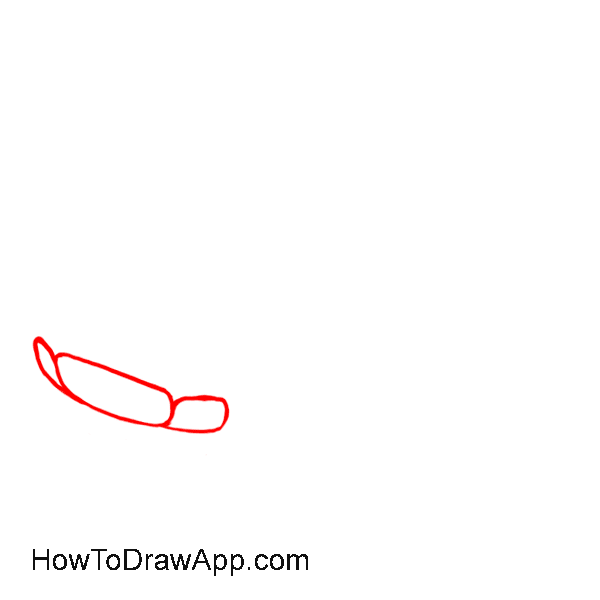 Draw the front wheel by making ovals. 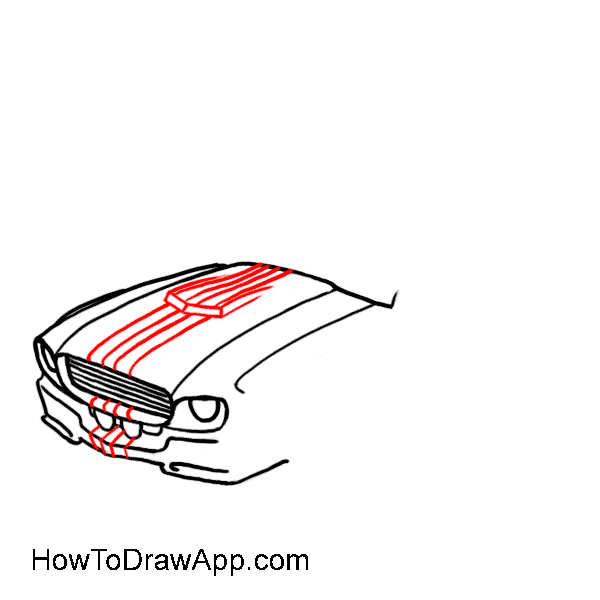 Draw a long line across the car and mark the car door. Draw the car trunk in the back and several parallel lines on the cab. Draw and paint the rear wheel. 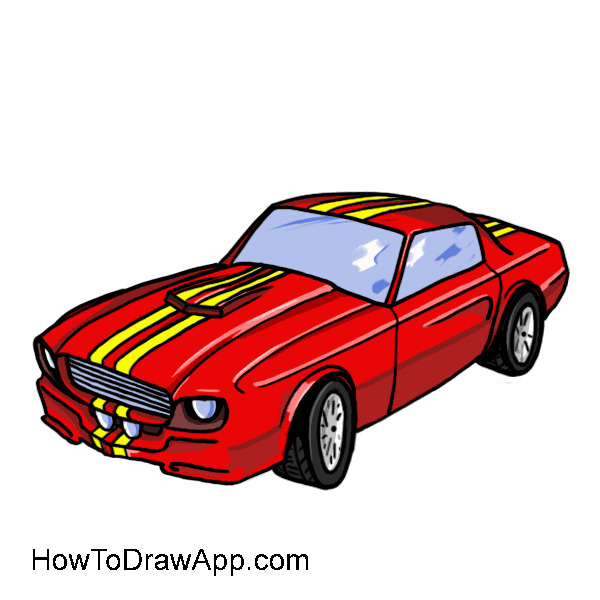 Paint the car in red and add yellow for lines. Use blue for the windows.